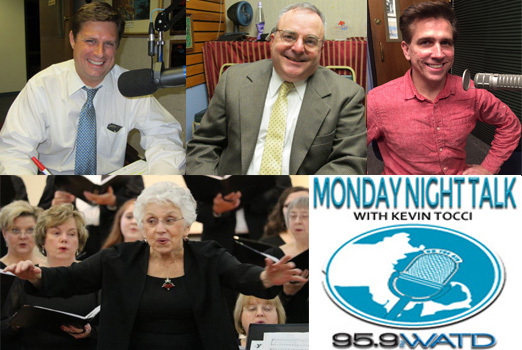 Here is the newest Monday Night Talk radio show podcast from December 3, 2018 featuring State Representative Geoff Diehl; State Representative David DeCoste; Michael Faherty from the Living Word Church in Norwell, MA (Wonder of Christmas event) and Jubilate Chorale of Southeastern Massachusetts Music Director & Conductor Dr Maxine Asselin. 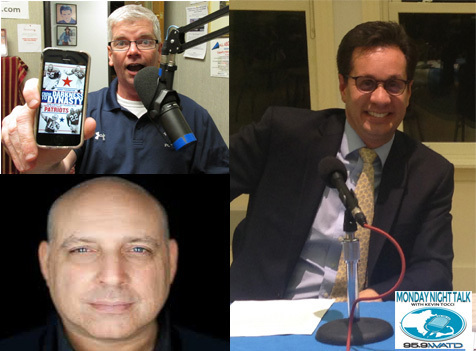 Welcome to the Monday Night Talk radio show podcast from November 19, 2018 featuring State Senator Vinny deMacedo; Jerry Thornton from Barstoll Sports & Author of From Darkness to Dynasty and his newest book, Five Rings: The Super Bowl History of the New England Patriots (So Far) and Juian David Stove, Author of No Cameras Allowed: My Career as an Outlaw Rock & Roll Photographer. 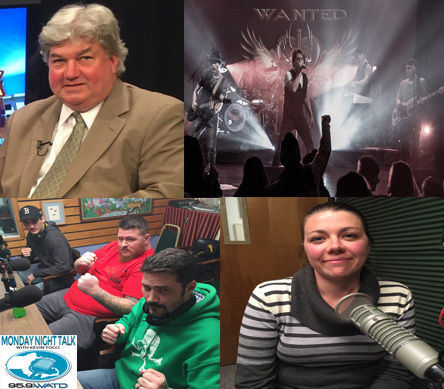 Monday Night Talk host Kevin Tocci chats with Brockton City Councilor Jean Bradley Derenoncourt; Brockton resident Keith Hayes who was part of the Rocky vs Rocky statue Super Bowl bet; Barstool's Jerry Thronton and a rebroadcast of the Wanted DOA segment!!! 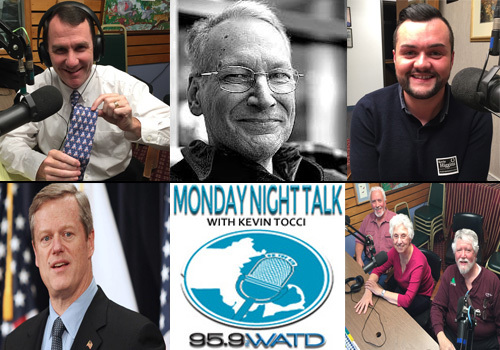 Here's the newest Monday Night Talk radio show podcast from January 22, 2018 with host Kevin Tocci featuring State Senator Mike Brady; Diedre Hall, a Rockland Selectman who is a candidate for State Representative; Business owner Geoffrey Yalenezian, boxer Mike "The Bad Man" O’Han Jr. & trainer Josh Phippen; Rock Legend Rick Derringer and from Wanted DOA: Rich Figurido and Peter Tentindo! 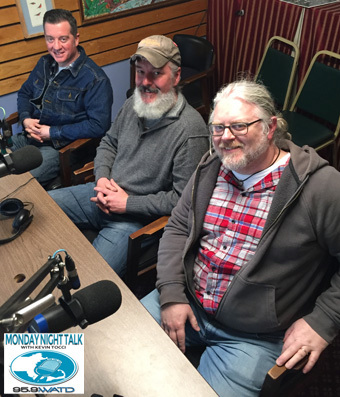 Kelly Hines, an actor with the Massasoit Community College Theatre Company is a guest on this segment of Monday Night Talk! 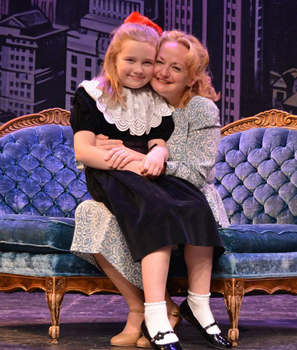 Kelly and MNT co-host/ show producer Mark Rocheteau talk about the upcoming production of "Miracle on 34th Street," which hits the stage at the Buckley Performing Arts Center stage on December 10-18. For tickets go online massasoit.edu/buckley. 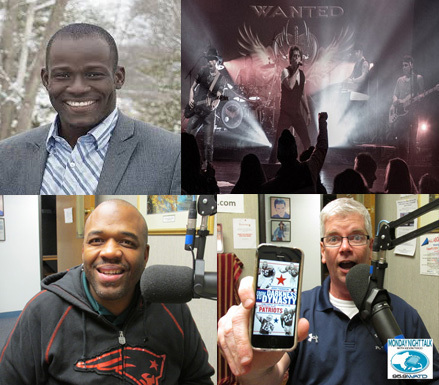 Do you have an topic for a future show or info on an upcoming community event? Email us at mondaynighttalk@gmail.com or "like" and post a comment on our Facebook page: www.facebook.com/mondaynighttalkon959fmwatd. If you're a fan of the show and enjoy our segments, you can either download your favorite segment from this site or subscribe to our podcasts through iTunes today! © Monday Night Talk with Kevin Tocci - 2016. Unauthorized use and/or duplication of this material without express and written permission from the show host and/or owner is strictly prohibited. 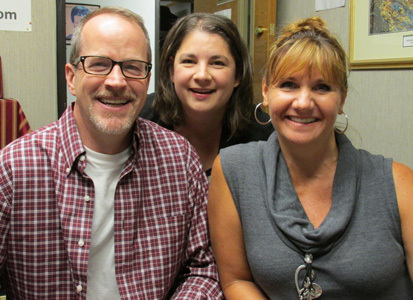 Show producers Steve Shannon, Michelle Kippenhan and Julie Hoffman- Hogan are guests during this segment of Monday Night Talk! 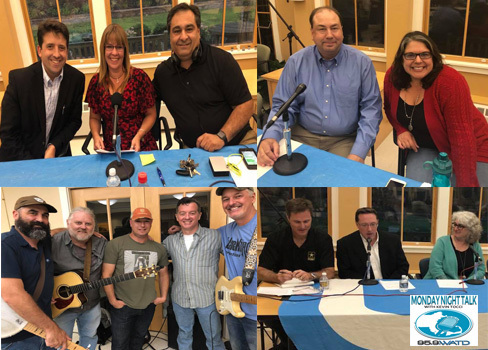 Steve, Michelle and Julie join Mark Rocheteau and Kevin Tocci to promote Just Believe III: A Benefit Concert for the All Town Tigers of the Special Olympics, which is being held at the Buckley Performing Arts Center on September 24. 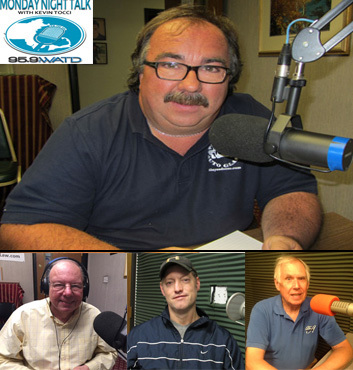 Do you have a topic for a future show or info on an upcoming community event? Email us at mondaynighttalk@gmail.com or "like" and post a comment on our Facebook page: www.facebook.com/mondaynighttalkon959fmwatd. If you're a fan of the show and enjoy our segments, you can either download your favorite segment from this site or subscribe to our podcasts through iTunes today! © Monday Night Talk with Kevin Tocci - 2016. Unauthorized use and/or duplication of this material without express and written permission from the show host and/or owner is strictly prohibited.